Home Kollywood News Priya Prakash Varrier in trouble! 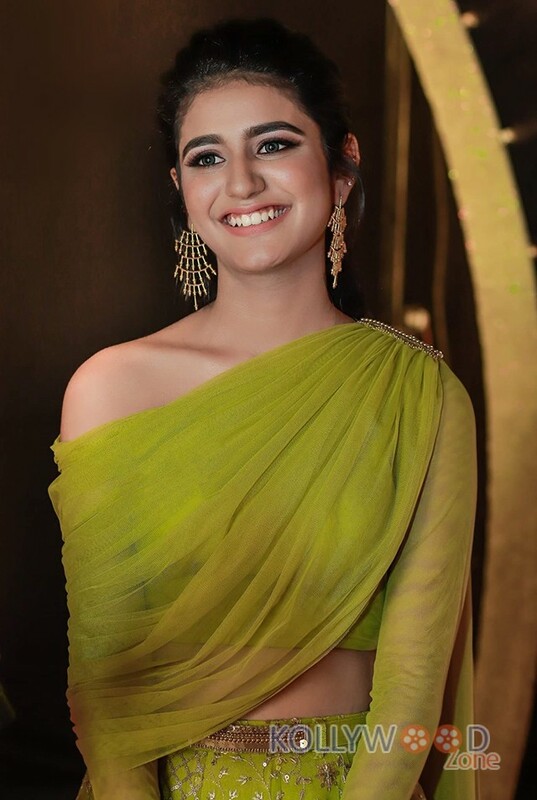 Priya Prakash Varrier is a Mollywood actress and internet celebrity, who got fame after the release of the music video of her debut movie ‘Oru Adaar Love’. The video became viral and she became an overnight sensation with her winking in the song. The film is yet to be released and is directed by Omar Lulu. Now, Priya Prakash Varrier, who has bagged a lot of films and endorsements after the song went viral, is all set to make her debut in Hindi film industry with a film ‘Sridevi Bungalow’. The movie is directed by debutante director Prashaanth Mampully, and the film features a Prakash Varrier as a heroine named Sridevi. The movie revolves around a movie actress named Sridevi, who leads a miserable life an her story ends with her death in a bathtub. The trailer of ‘Sridevi Bungalow’, which was released a few days back has become a trending topic, as the trailer show Priya Prakash Varrier in a bathtub lifeless, and her role being coined Sridevi, reminds everyone of the unfortunate demise of yesteryear ace actress Sridevi Kapoor, who passed away drowning in a bathtub. Offended by this trailer, Bollywood producer Boney Kapoor (husband of late actress Sridevi Kapoor) has registered a legal case against the producers of ‘Sridevi Bungalow’ for trying to tarnish the name of Sridevi Kapoor. Priya Prakash Varrier’s hot video goes viral!